Calvin Harris and Rag’n’Bone Man’s “Giant” not only serves as a self-empowerment song but also plays out as a narrative where the singer is speaking to someone who has given their selfless love to him. Indeed he considers this affection to be the foundation of his success. In contrast he is now telling the person that he is going to take the initiative in taking care of the both of them. What empowers him to handle this responsibility is the fact that he is indeed a “giant”. Whether the reality of being such an individual gives him the strength and/or the confidence to boldly assert that he can now cater to the person who has in the past maintained him is unclear. But what is clear however is that he doesn’t seem to possess any doubt as to his ability to handle this task. Rag’n’Bone Man has revealed that when he originally penned this work some years ago, the addressees of the song were intended to be his parents. In other words, “Giant” serves as an ode to the fact that now he is taking it upon himself to care for them instead of vice versa. In the song however, the relationship he has to the person he is singing to is never specified. For instance, in the second verse, instead of detailing sacrifices this person has made on his behalf, he now points out seemingly invaluable yet ambiguous lessons he learned from him or her, such as “togetherness” and how to be free. Ultimately the singer is entreating the person to have the same confidence in his ability as a provider that he already has in himself. And again, being that the person he is speaking to is never granted a clear identity, this gives the song a general applicability. Through his Instagram account, Rag’n’Bone Man shed some light on “Giant”. According to him, he wrote it 4 years ago. He said the song was about his childhood years and how our parents aren’t as powerful as they appear in the eyes of their kids. So in this song, he is trying to tell his parents that it is now his time to look after them. Writer(s): Rag’n’Bone Man co-wrote this song with his collaborator, Calvin Harris and two other songwriters: Troy Miller and Jamie Hartman. Producer(s): Calvin Harris was the sole producer of “Giant”. Date of Release: “Giant” was formally released by Columbia Records on January 11, 2019. 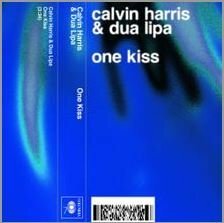 Interesting Stuff #1: This collabo marked the first-ever collaboration between Calvin Harris and Rag’n’Bone Man. Interesting Stuff #2: This was the first single that Rag’n’Bone Man released in 2019. It was also Calvin Harris’ first for the aforementioned year. How did “Giant” perform on the charts? It performed very well in Europe. For example, it reached number 1 in the following countries: Belgium, Scotland and The Netherlands. On the UK Singles Chart, it entered the top 5. Song Meanings and Facts © 2019. All Rights Reserved.